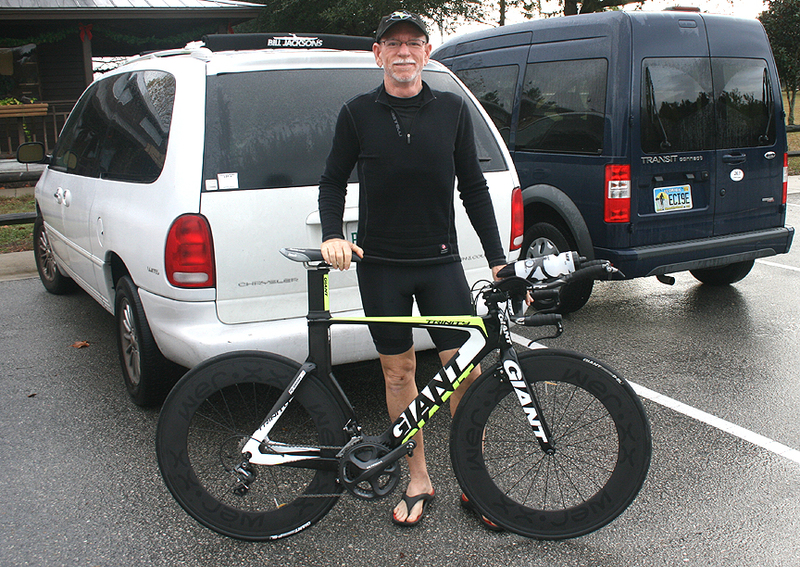 Today we feature one of our most “senior” riders. We’ve been proud to have Pat Jennings on our team since 2013. In 2015, when ORR transitioned over to Team Kyle’s Bike Shop, Pat was glad to come along and has been a valuable contributor ever since. He is primarily a time trialist, that is, he participates in the solo event, where it is just the rider and his machine against the road, the elements, and of course, the clock. 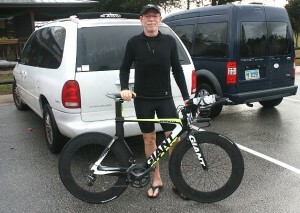 Even though he is in early 60s, he prefers to race in the more competitive Masters 50+ division. He lives and works in St. Pete, FL. 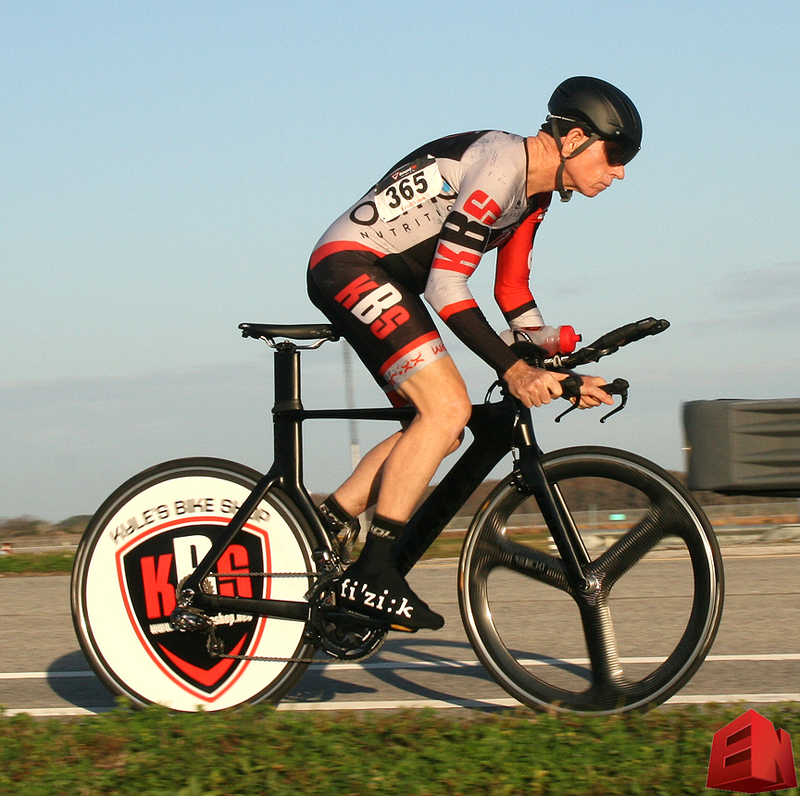 We sat down with Pat to hear about his racing journey. ORR: Pat please tell us how you got started in racing. I began riding a beat-up old mountain bike, given to me by my landlord, about six years ago. Didn’t really have a purpose or goals at the time. Just knew that I wanted to ride a bike. At the time, and for most of my life, I had been playing tennis (singles) two or three times a week.When I started riding my loop was three miles at about 12 miles an hour. A few months later, I purchased a used road bike; and so it began. ORR: Was there a particular health goal in mind? In the beginning, I think it was purely ‘mental health’. The actual health benefits only appeared after I began training with a focus. ORR: We don’t know much about you Pat, are you married? kids? I lived within 35 miles of Central Park in New York for 50 years. Married for 19 and 9 years respectively. Single seven years. My daughter is 35 and my son is 33, both of whom live in NYC. I spent 30 years in the Executive Search business, largely with my own Practice. For ten years I recruited ‘C’ level executives for the portfolio companies of Private Equity and Venture Capital firms. I have served on a variety of private company, and not-for-profit Boards. ORR: When was your first race? ORR: Do you ever do races other than time trials? 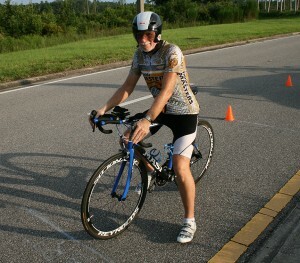 I have raced the State Championship RR. I do plan to begin Road Racing next year as I age up!! 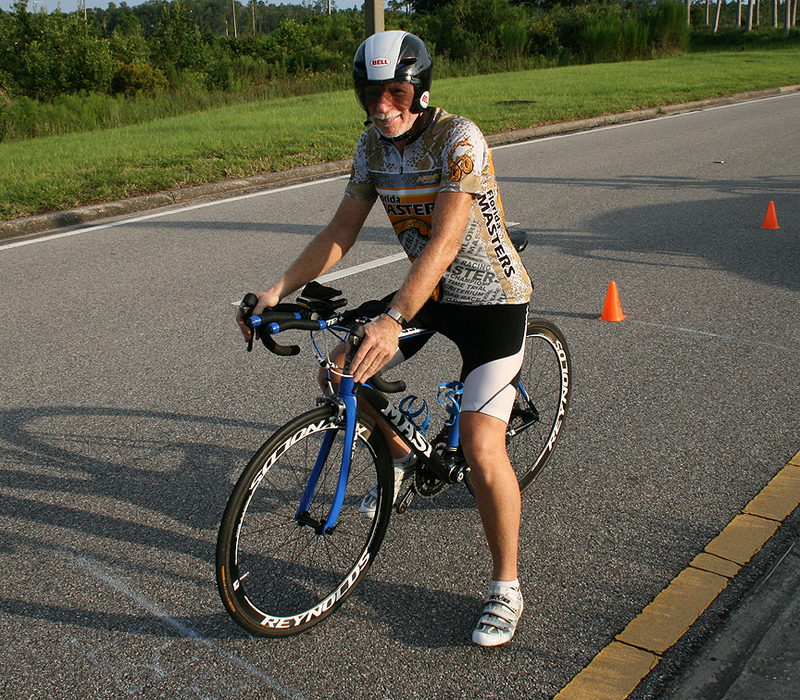 Last year I did 19 races, including States, Airport, Fort DeSoto, Holiday, and Senior Games. ORR: So 18 TTs and 1 RR? 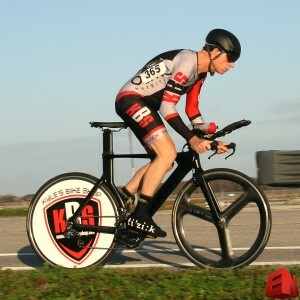 As I became interested in Time Trial racing, I began looking for other venues to race at and found an informal group associated with the Orlando Runners and Riders club. It was a great opportunity for me to meet other riders and gain race experience. I was asked to join the Club and through that association, was ‘grandfathered’ onto the KBS race team. ORR: When we first met you, you were on an old road bike with clip on aero bars. Now you have the latest equipment. How did that happen? It was fueled by both a desire to go faster and my obsessive compulsive personality! Through this journey, I now work with a Coach, which has led me to a much better understanding of the mechanics of racing from an equipment and performance standpoint. The discipline of a rigorous training schedule, coupled with the effort required, begs for all the efficiency that can be reasonably obtained. ORR: You are working with Roy Foley right? Several reasons; is he is local to me, he has coached many riders that I know, he is a certified Retul bike fitter, he is a good bike mechanic, and he has developed a good network of service providers related to endurance athletes for example, strength coaches and nutritionists. ORR: What’s in the future for Pat Jennings? Any goals you are shooting for? Any records? My season goals for 2016 are to break 60:00 for 40k, and to break 22:00 for 15k. ORR: Those are great goals! OK Last question before we get in to the serious stuff: What would you advise someone who was just getting started in racing? Be clear and honest with yourself about why you are racing, which will help establish short and longer term goals. ORR: OK now the serious questions: Monica, Rachel or Phoebe? ORR: OK let’s try it for our age group: Ginger, MaryAnn or Mrs. Howell? ORR: OK shaved legs or the full Chewbacca? ORR: Toilet paper over or under? Over. Learned response from thousands of hotel stays over 30 years traveling for work. ORR: OK anything else you want to say to the world? I am grateful for all the folks I’ve met and friendships I have formed through cycling. ORR: Thanks for talking to us Pat. The rest of you stay tuned. More rider profiles coming up soon!